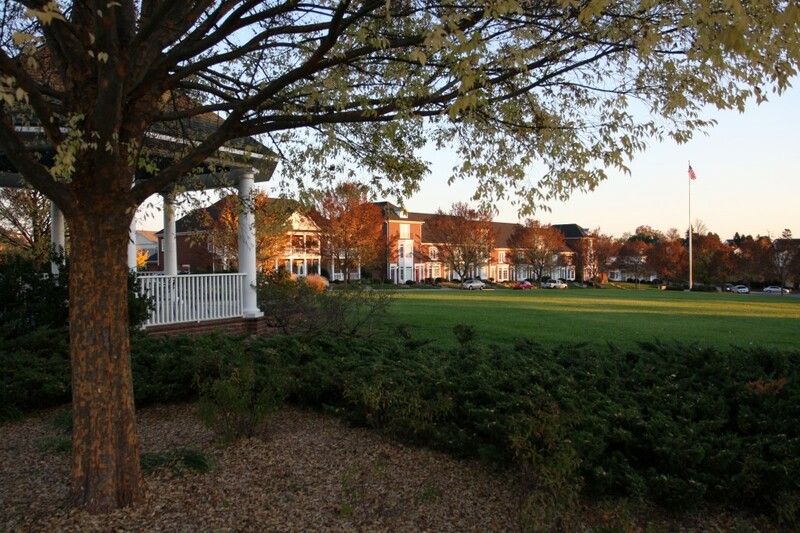 “The Village Green” has been part of this country’s heritage since well before the Revolutionary War. The green has always served as a focal point of community life, from a grassy area to graze cattle, train militia, or host the Fall Harvest Festival. Not to be confused with a Neighborhood Square, which tends to be much smaller and more formal, the traditional Village Green is open and expansive. Sizing and placing the gazebo, however, proved to be a bit more challenging. To preserve its original intent, it is important to keep the green as open as possible, free of obstructions that would limit its flexibility. Ultimately, after much consideration, the gazebo was located in the high corner along Village Drive (“Main Street”). This will give gazebo users a commanding view of the green while not getting in the way of playful activities. The design for the gazebo was taken from an old structure found in Bethel, Maine. Slightly larger than the Bethel example, the same proportions were maintained. “It is hard to improve on a structure as elegant as the one we used as a reference,” said David Mayfield, the developer and John Swinson, the builder. At 24 feet in diameter, the gazebo can serve one large group or several smaller groups. Parents can sit and watch their children play on the large grassy expanse of the Village Green. ‘We have had the gazebo used as a backdrop for everything from wedding to graduation photos,” said David Mayfield. The gazebo is furnished with tables and chairs for casual conversation or an impromptu picnic. A raised landing is incorporated on one side of the gazebo to serve as an informal stage for local musicians to perform during warm summer evenings or holiday events. Going forward, the gazebo will serve an important supporting role for many of the activities on the Village Green.